State climatologist Gary McManus says this year will be the latest start to the state’s tornado season on record. 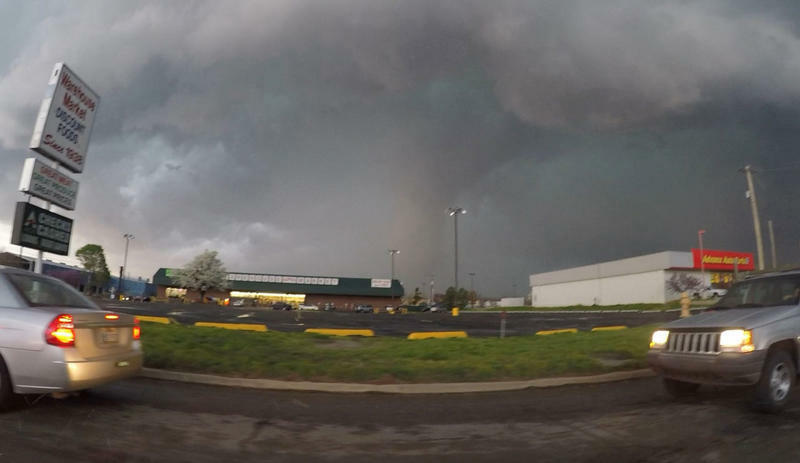 “We’re going to be into May, at least, before we get our first tornado,” McManus said. He noted, since the National Weather Service began keeping records in 1950, the latest recorded start to Oklahoma’s tornado season was April 26, 1962. By this time of year, Oklahoma has usually recorded 16-17 tornadoes. Drought and cool weather are two factors contributing to the late start in 2018. 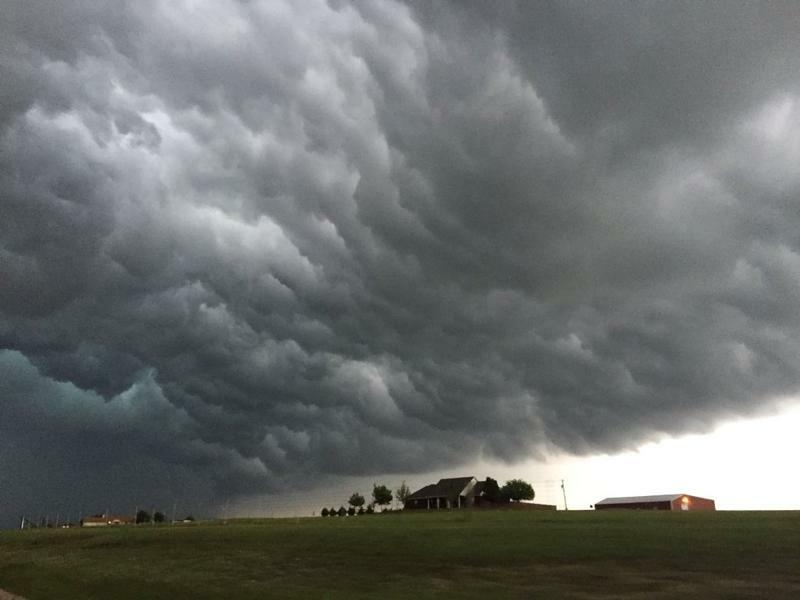 A series of severe thunderstorms led to tornadoes across Oklahoma last night, killing one person and injuring several others. More than 75,000 people are without power and numerous schools are closed, as the damage is assessed. On the same day in 1948, a tornado hit the Tinker Air Force Base in Oklahoma, causing considerable damage but few injuries and no fatalities. That is because Air Force Captain Robert Miller and Major Ernest Fawbush predicted the atmospheric conditions that led to the storm, based on another storm that occurred five days earlier. 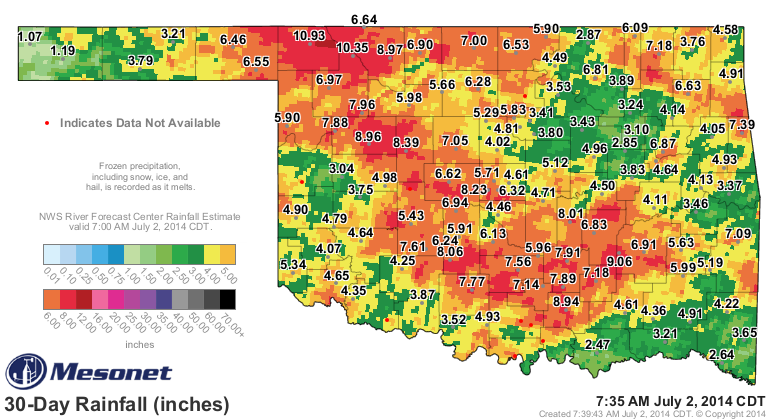 Preliminary data from the Oklahoma Mesonet show the state averaged about 5.8 inches of rain in June - about an inch-and-a-half above normal for this time of year. Associate State Climatologist Gary McManus says six Mesonet stations in northern Oklahoma recorded at least 9 inches of rain this month...Buffalo had the highest rainfall total at 10.4 inches. An inch of rain fell somewhere in Oklahoma on 19 of the months 30 days, and that helped relieve some of the drought in the state as well. Save for a tiny corner of far southeast Oklahoma, the entire state is either abnormally dry, or already in drought. 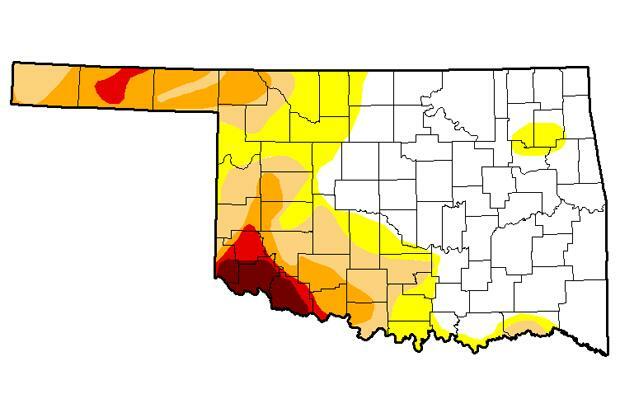 Areas of severe, extreme, and exceptional drought, the worst categories, are still confined to the western part of the state, with far southwest Oklahoma suffering the most. 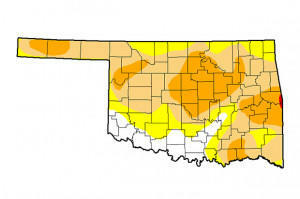 But the latest data from the U.S. Drought Monitor show moderate drought conditions moving east and into Oklahoma City. 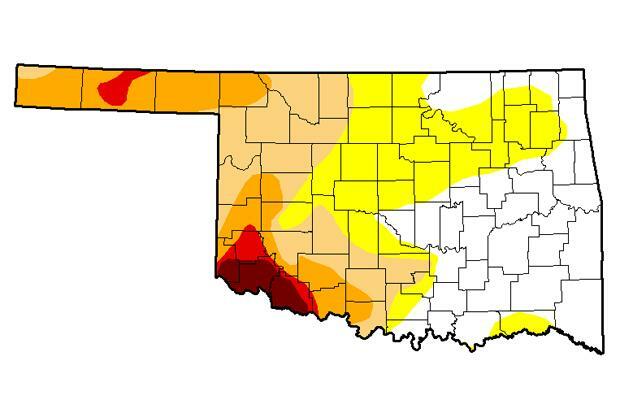 Oklahoma got a reminder this week that — despite a wet year for many parts of the state — drought continues to rage in other areas, mainly the south and southwest. 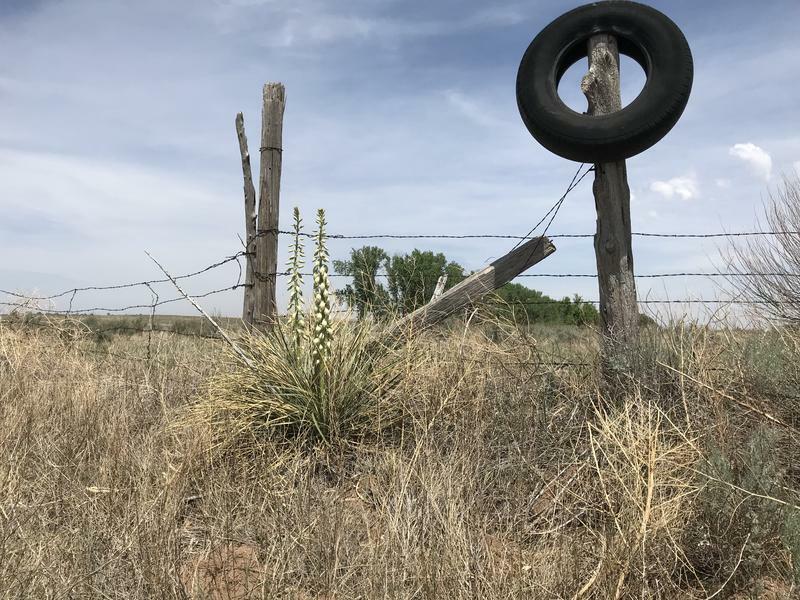 On Wednesday, the U.S. Department of Agriculture designated counties in 11 states as primary natural disaster areas because of the drought, including 20 counties in Oklahoma. 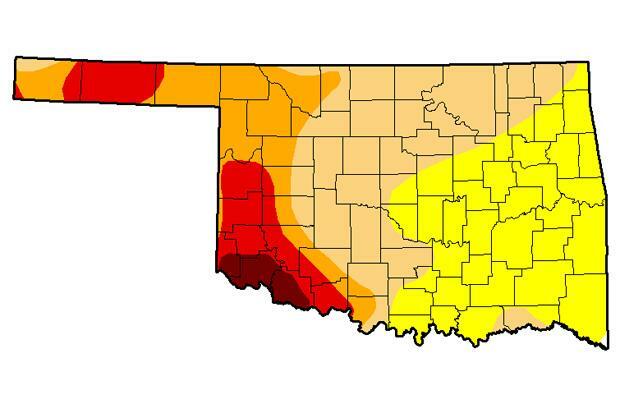 Parts of Oklahoma have been suffering from severe and exceptional drought conditions for three straight years. That is a long time, especially for communities in western Oklahoma. But this drought might be closer to its beginning than its end, and with little warning could encompass the entire state next year.